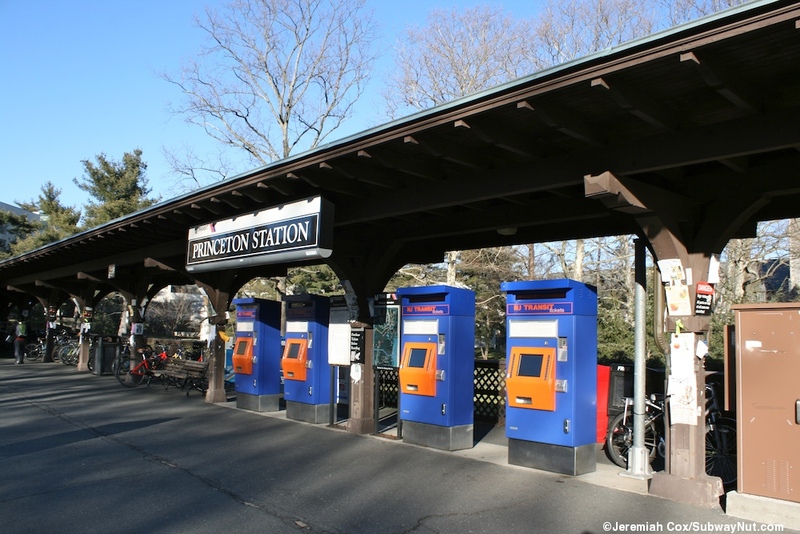 Princeton Station, on the campus of Princeton University, is the terminus of the Dinky, more officially know as the Princeton Shuttle (although the local nickname, the Dinky is used on the more recent NJT maps, but not the timetable). 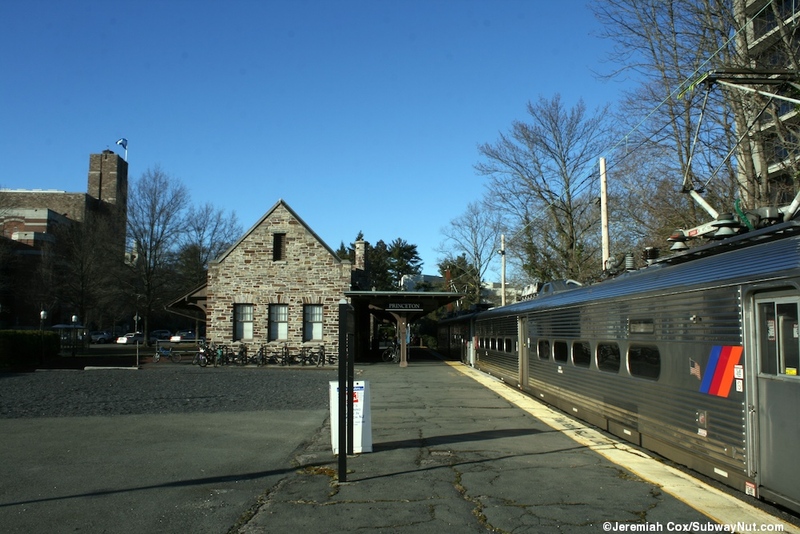 Trains cover the very short 2.7 mile branch line from the Northeast Corridor's Princeton Junction at West Windsor's Station in about five minutes. 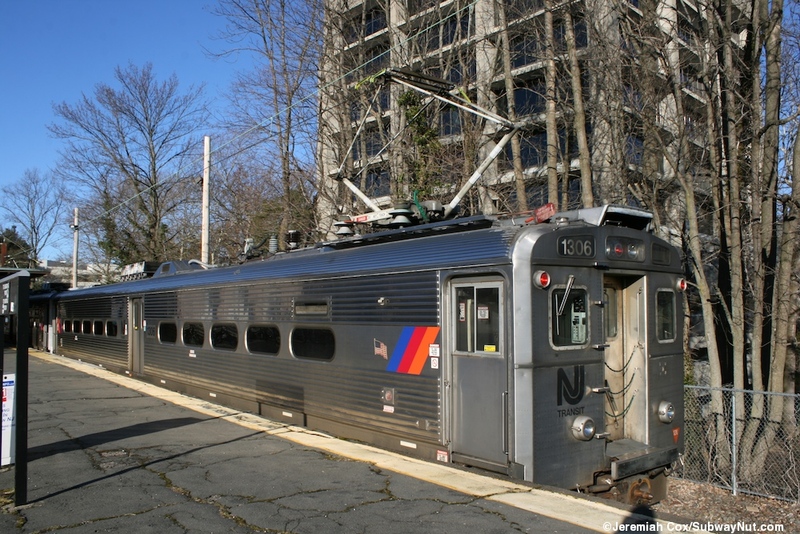 The Dinky runs about two round-trips per hour (both weekdays and weekends) to connect with almost all arriving Northeast Corridor Trains. 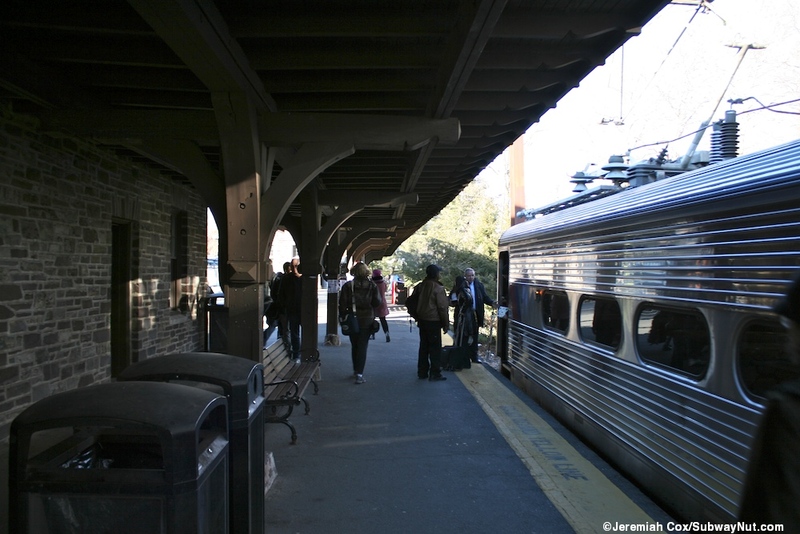 The schedule is about every half-hour but departures are timed to correspond to the non-consistent times of the connecting trains; during rush hour there are few times it makes two trips in the same direction within twenty minutes. The Dinky runs with one or two Arrow MU cars staffed by both an engineer and a conductor who does collect tickets during the short ride. 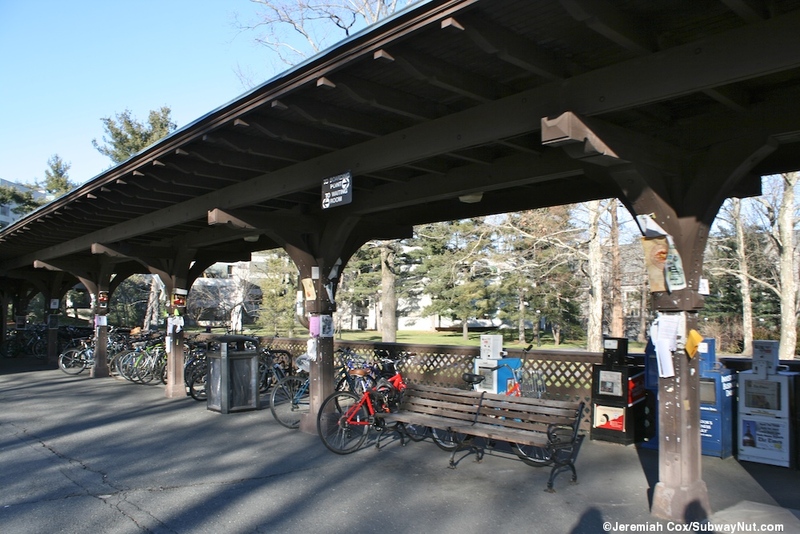 There is an extra charge for a ride on the Dinky, $2.75 for just a single ride. 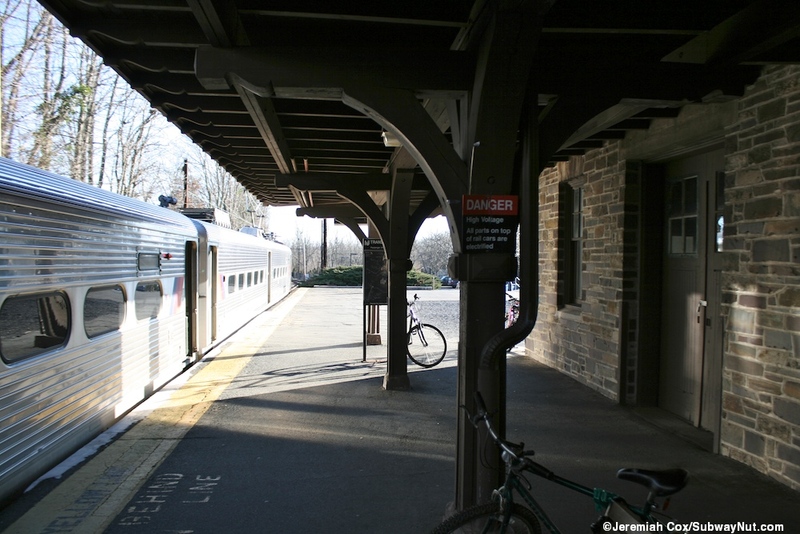 (such as connecting from Amtrak). 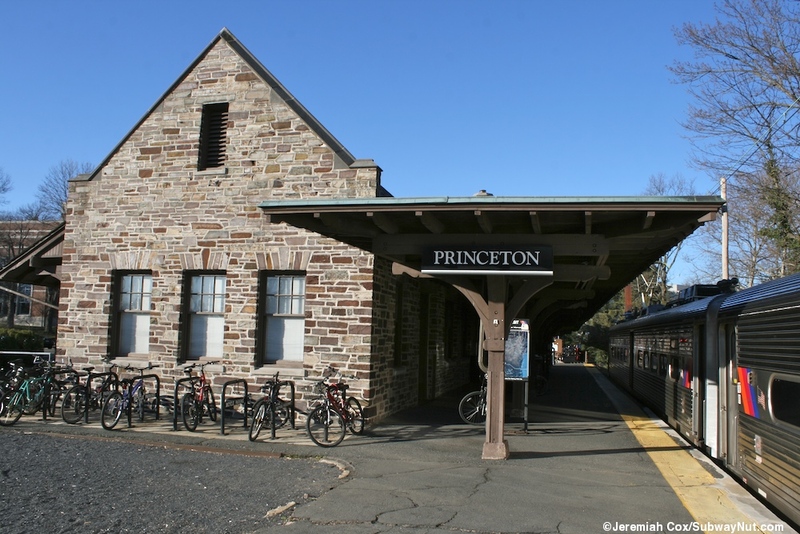 Fares to Princeton are generally about $1.75 more (to Newark/New York/the Airport as low as $1.25 to Hamilton, as high as $2 from New Brunswick) on thru continuous tickets requiring the connection. These extra fares seem quite high considering the very short length of the branch. 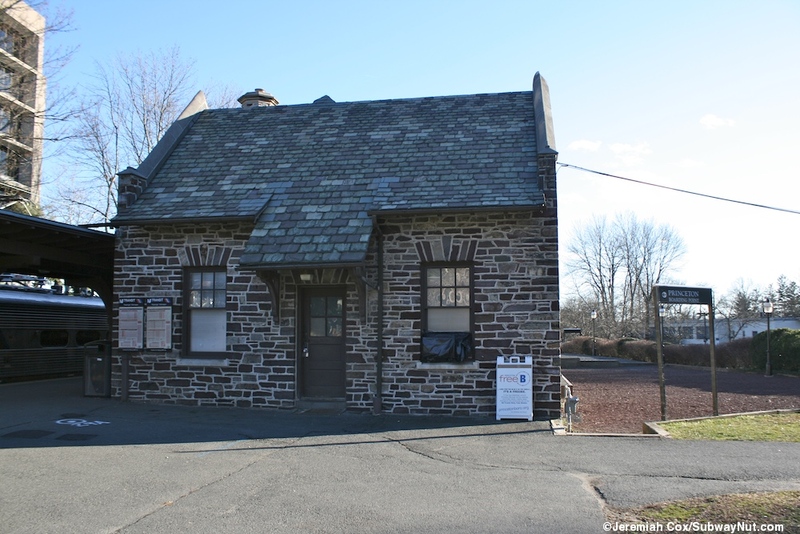 The Dinky has been shuttling on its little branch line continuously since May 29, 1865. 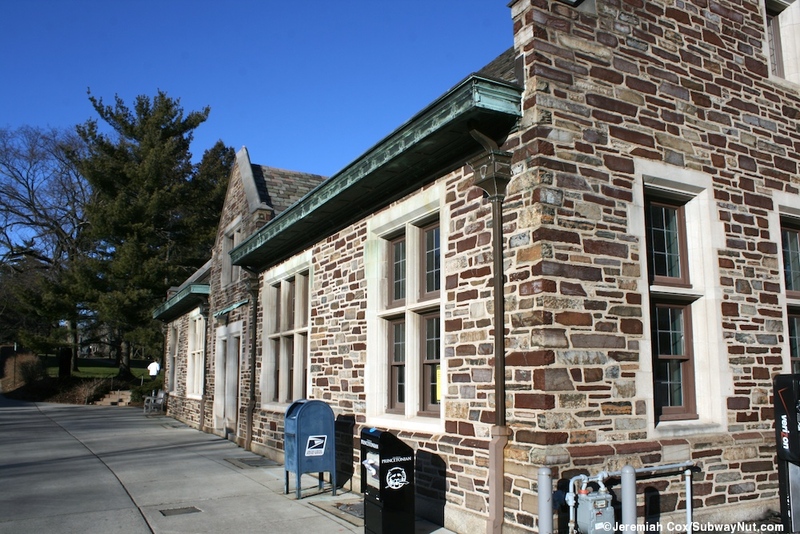 The single branch line was built to connect Princeton to the then new and present day alignment of the now called Northeast Corridor by the Camden and Amboy Rail Road and Transportation Company which was abandoning the route it originally used since 1839 following the Delaware and Raritan Canal which stopped much closer to downtown Princeton. The name Dinky then began being applied to the shuttle for the steam dummy car, a single self-propelled steam engine/passenger car, used for service. 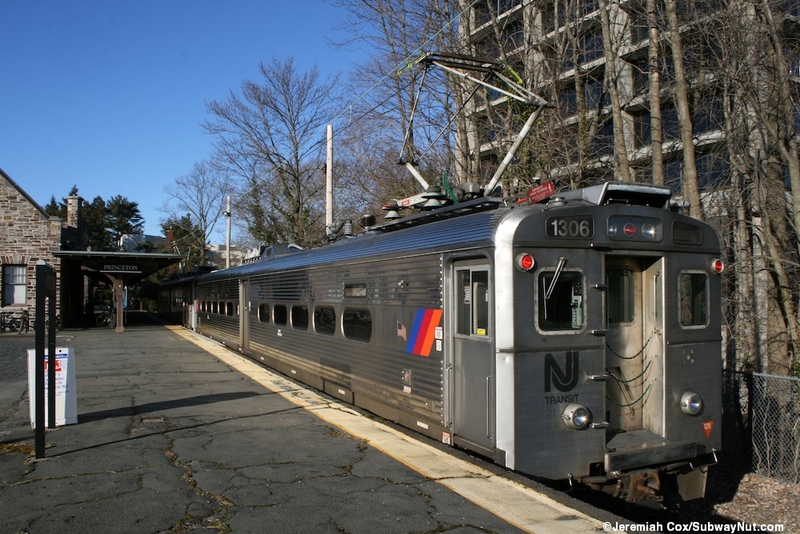 The Pennsylvania Railroad took over the NEC along with the Dinky in 1871. The branch line was electrified in the 1930s, I believe, at that was when the mainline was. 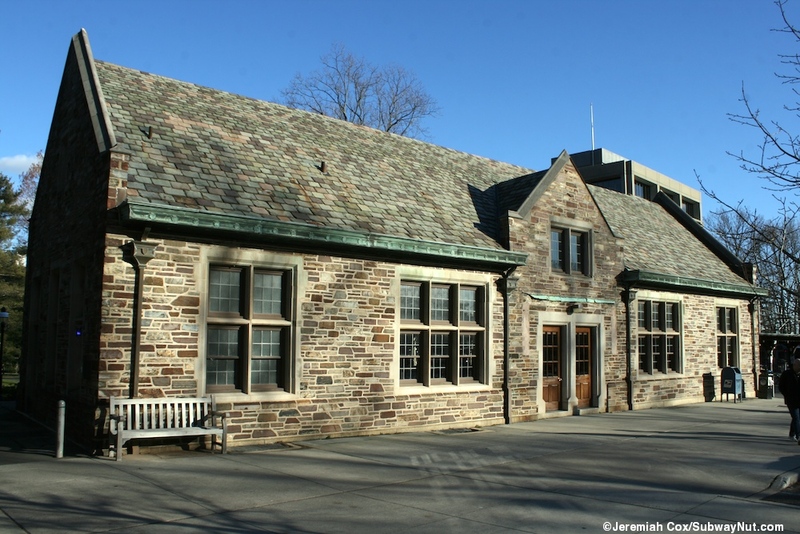 The next notable time in the history of the Dinky comes in 1984 when the stone depot (which fits right into Princeton's Campus) was listed on the on the National Register of Historic Places and in October of that year sold to Princeton University with New Jersey Transit retaining operating rights. The track was abandoned along the northern end of the platform in the late 1980s allowing just two cars to platform at its southern end. 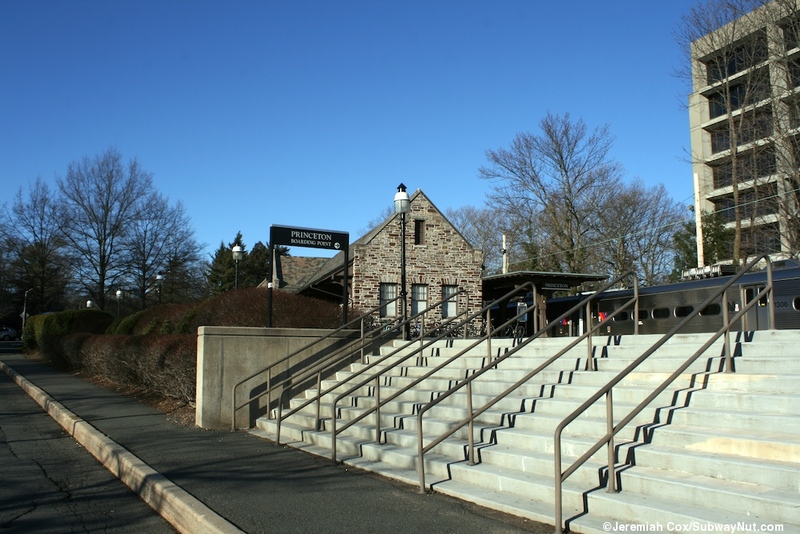 More recent controversies included possible plans to turn dinky into a transit way, replacing it with buses as the core of an area BRT system in the early 2000s, this was shot down my residents. 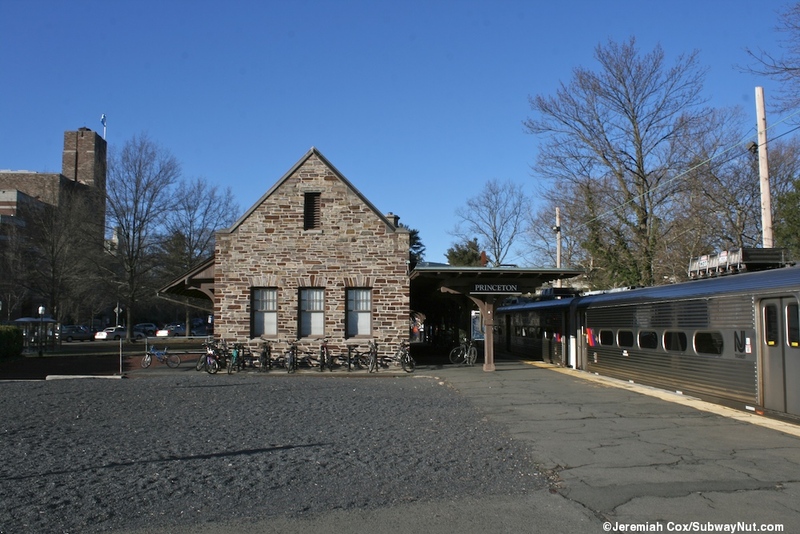 The other current controversial plan is to move the Dinky terminus 200 yards south of the present station, demolishing the historic infrastructure and replacing it in order to build an extension of the Princeton University Campus, called the "Arts and Transit Project" ("Save the Dinky appeals site ruling by DEP", The Princeton Packet July 2, 2012Link). 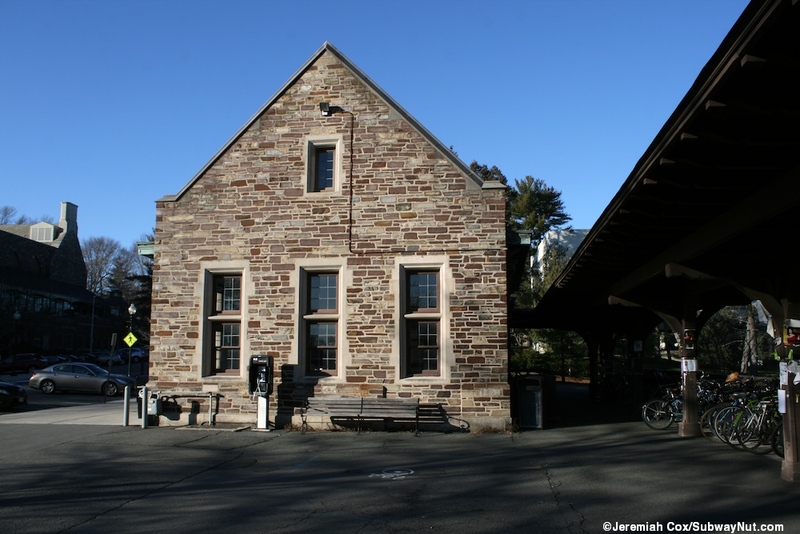 The Dinky Station itself is located on the western side of the Princeton University Campus and it is a labeled place on the interactive campus map. 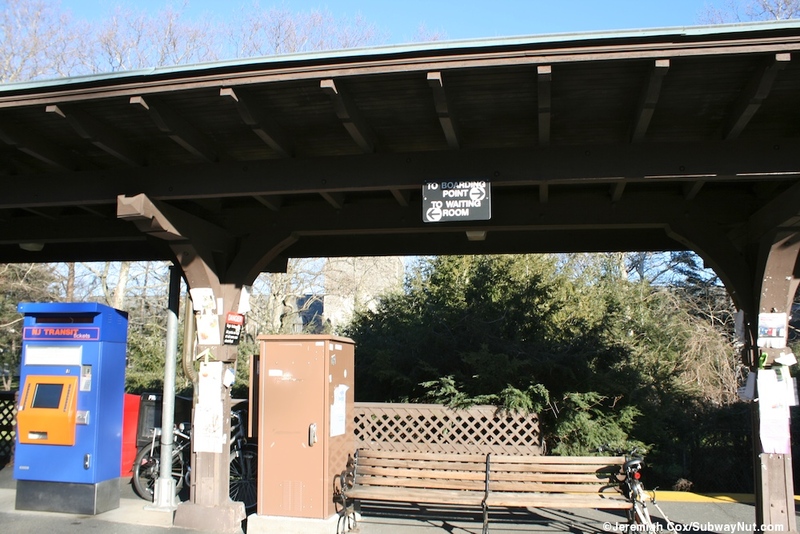 The station consists of a high-level platform nearly completely covered by a wide, brown, wooden canopy. 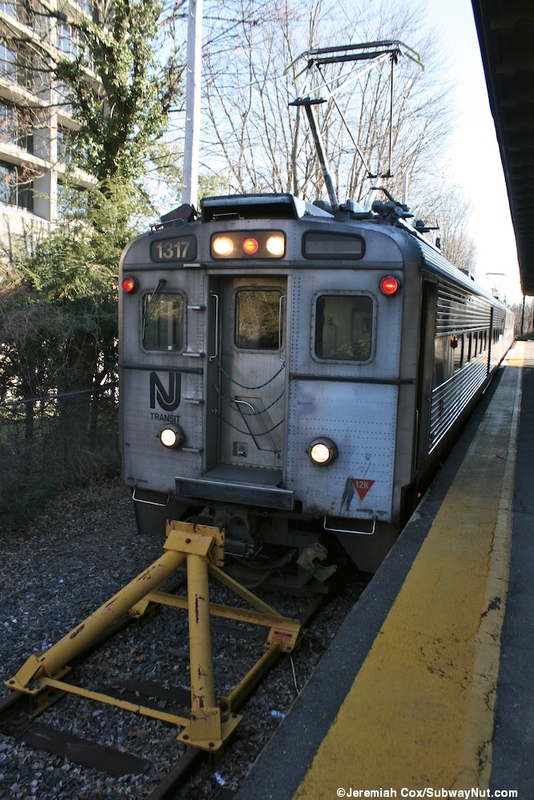 The track (but not the platform canopy or canopy) along the northern two thirds of the platform were abandoned in the 1980s leaving just enough track for two Arrow MU cars to platform at its southern end right up against a yellow bumper. The abandoned portion of the track bed has become overgrown with vegetation. The wide yellow line (not tactile) follows the platform from its southern end and for a portion beyond the end of the track before a low wooden fence has been built along its edge. 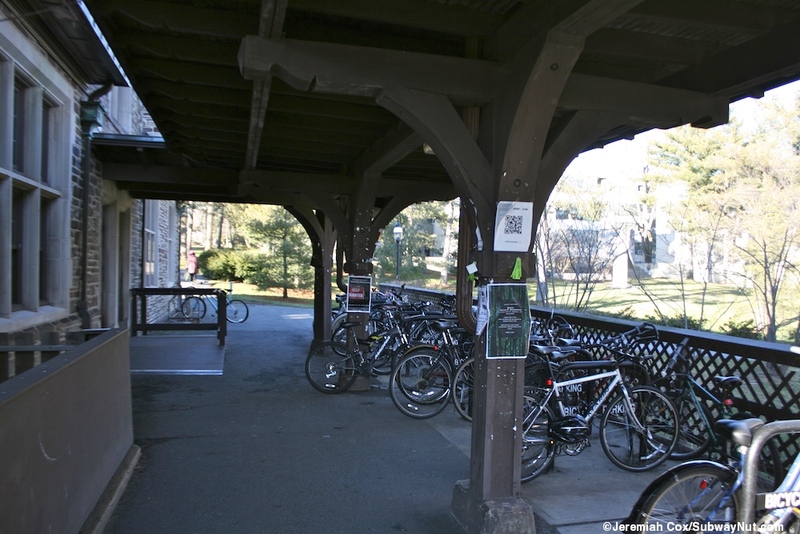 This area has New Jersey Transit labeled Bicycle Parking Racks covered in bikes (wonder how many are actual commuters and not just students?) 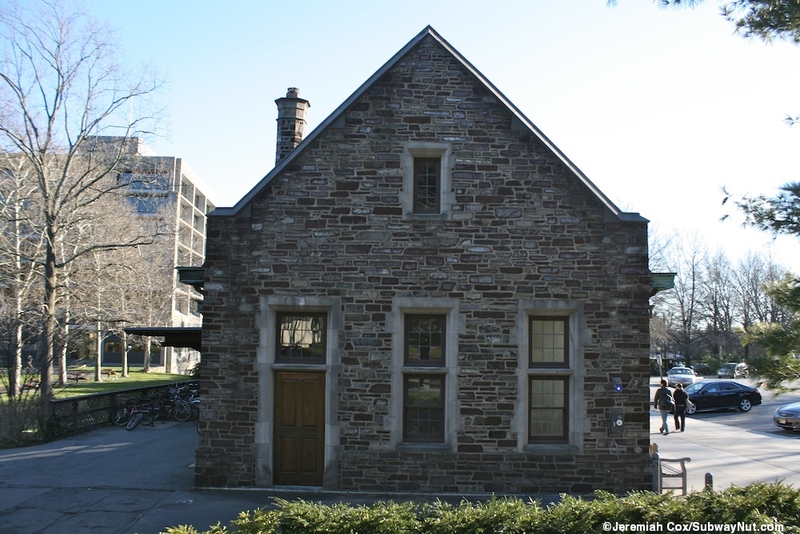 There are two buildings, both historic looking of stone with gabled roofs along the platform. 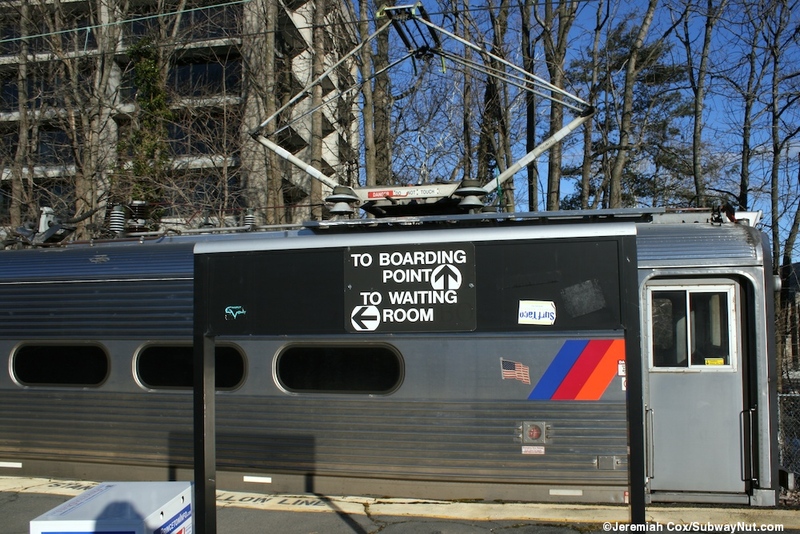 A smaller one is right across from the boarding area (as signs say) for the train, it is in non-public use. A larger one is towards the northern end of trackless platform and it is waiting room as signs say but no hours of operation are posted. 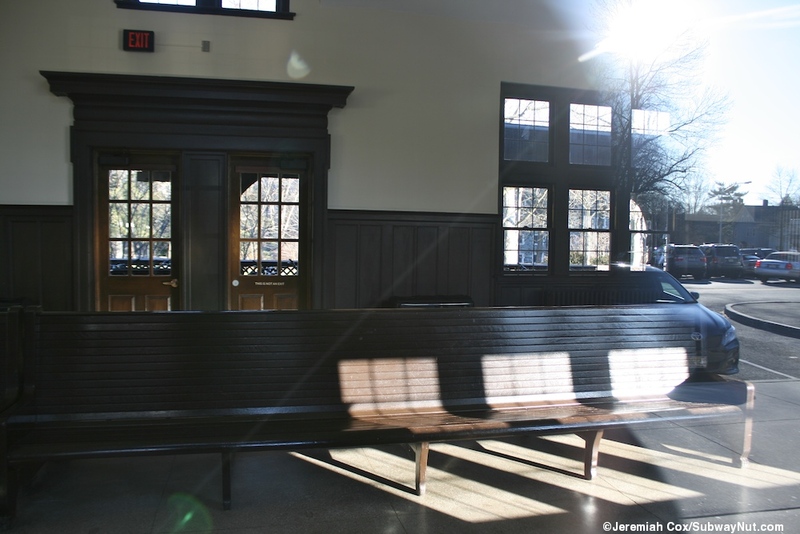 Inside is a wood paneled room with wooden benches in the middle and the remains of a ticket window. All ticking for Dinky passengers is now done at the 4 TVMs in the middle of the platforms beyond where trains actually now stop. Boarding Point or Waiting Room?